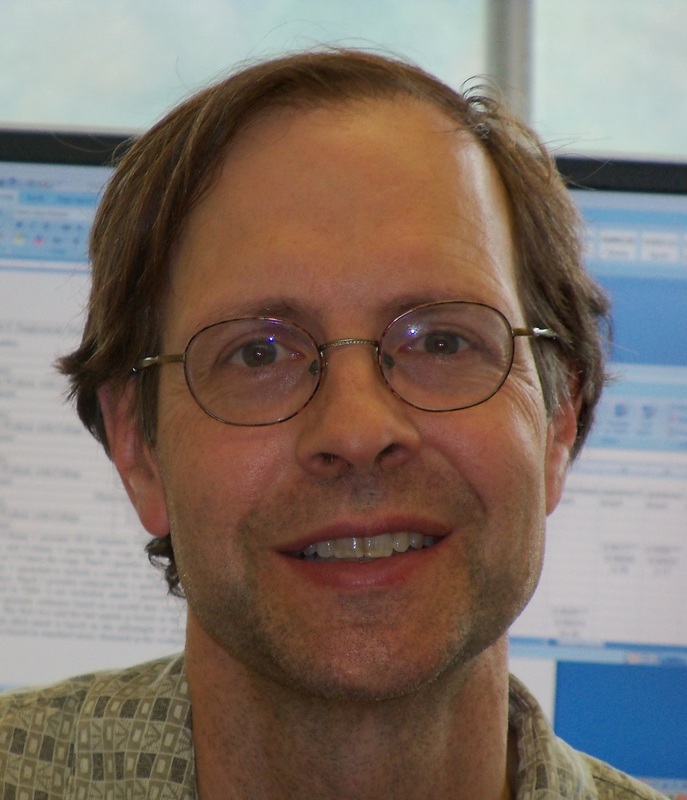 Steve Ross’s recent paper on the effect of the No Child Left Behind Act on local property values with Steve Billings and Eric Brunner was just published in the first issue of 2018 in the Review of Economics and Statistics. In this paper, they show that property values near failing schools sometimes actually increase in value consistent with individuals moving into those neighborhoods to take advantage of the enhanced school choice opportunities available when a family’s children are assigned to a failing school. Professor Ross’s paper “What Drives Racial and Ethnic Differences in High-Cost Mortgages? The Role of High-Risk Lenders” was just published in the Review of Financial Studies, a Top 3 Finance Journal. This paper documents the existence of large differences in the cost of credit for minority borrowers, and the fact that most of the racial differences arise across lenders, rather than being driven by lenders who treat equally qualified minority borrowers differently than white borrowers. The paper shows that these effects are primarily driven by lenders whose loans tended to have very high default rates during the crisis. The Early College Experience (ECE) Economics Program presented a workshop on October 31 for Connecticut high school teachers offering Principles of Micro and Macro Economics (Econ 1201 and 1202) and Essentials of Economics (Econ 1000) in their high schools. The economics program now has certified 39 instructors as either Adjunct Professors of Economics or Preceptors in Economics. Twenty-nine of them choose to attend the workshop. 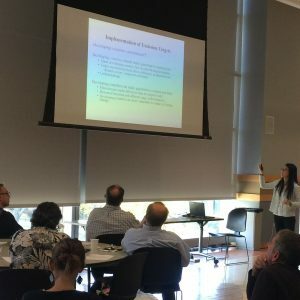 The teachers were instructed on the economics of climate change by Wensu Li, one of UCONN’s knowledgeable graduate students who discussed what one could teach in the principles classes about climate change. 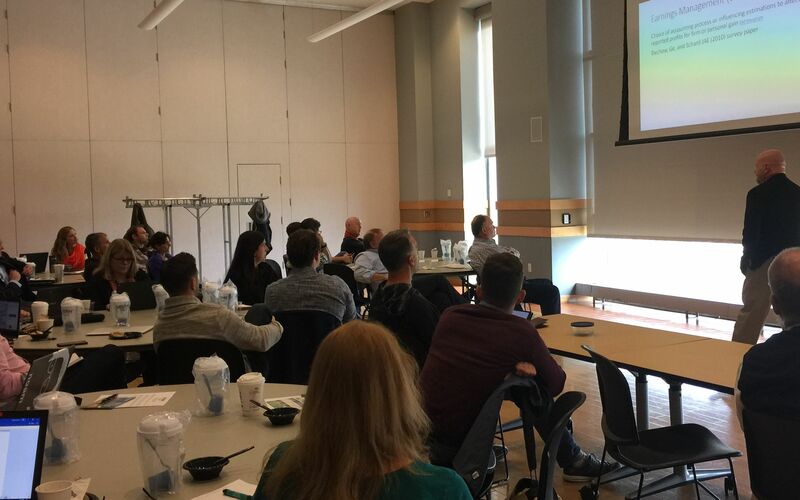 Professor Paul Tomolonis, Assistant Professor of Economics, Western New England University and Adjunct Professor of Economics University of Connecticut, reflected on earnings management with the workshop participants. He used earnings managment as an example of misallocation of resources. Professor Stephen L. Ross, Professor of Economics, University of Connecticut described the importance of distinguishing between permanent shocks and transitory shocks to the macro economy and the day was concluded with Professor Dennis Heffley, Professor of Economics, University of Connecticut, Emeritus who addressed the workshop on the teaching of health economics at the principles level. Finally, three of the teachers (Ms. Vancil, Shelton, Ms. Pelling, West Hartford, and Mr. Staffaroni from New Canaan) spent a few minutes over lunch to shared one of their learning experiences with their colleagues gained while attending the Joint Council on Economic Education Conference in New York City in early October. UCONN ECE is a concurrent enrollment program that allows motivated high school students to take UCONN courses at their high schools for both high school and college credit. Every course taken through UCONN ECE is equivalent to the same course at the University of Connecticut. Students benefit by taking college courses in a setting that is both familiar and conducive to learning. 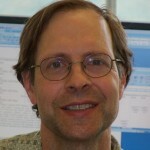 High school instructors who have been certified through the University of Connecticut serve as adjunct faculty members and teach UCONN ECE courses. Established in 1955, UCONN ECE is the nation’s longest running concurrent enrollment program and is accredited by The National Alliance of Concurrent Enrollment Partnerships. Professor Ross was invited to write a commentary on measuring trends in discrimination. Specifically, Professor Ross carefully lays out the potential, but also the challenges, of exploiting multiple field studies of discrimination combined with meta-analysis techniques in order to measure changes over time in the level of discrimination. Professor Ross notes recent research in the same journal that shows very stable levels of employment discrimination against African-Americans over several decades in the U.S. On the other hand, his own research has documented substantial declines in the level of housing discrimination, especially among real estate agents for owner-occupied housing. Below is a link to the commentary. Professor Stephen Ross and his coauthors, Jesse Kalinowski at Quinnipiac University and Matthew Ross at Ohio State University (both former Ph.D. students at UConn), have recently released on new working paper on racial discrimination in police traffic stops in Connecticut. In this work, Professor Ross discusses the surprising findings that school quality has only a quite modest effect on property values, and that much of the early work on this question confounded the effects of neighborhood quality with the effects of school quality. He also discusses the contradiction between these findings and evidence that school choice actually has substantial effects on school quality, suggesting that the reason for the large effects is because school choice affects where people live and so change neighborhood quality, which as noted has large effects on housing prices.